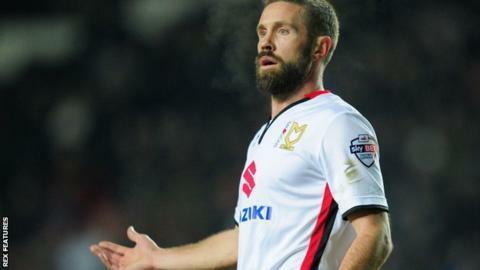 Former England defender Matthew Upson is among four players leaving MK Dons following relegation to League One. The 37-year-old departs after an injury-hit season in which he made only seven appearances for the club. Antony Kay, 33, who helped to keep a club record number of clean sheets in winning promotion from League One in 2014-15, and Jordan Spence, 25, will not be given new deals. Striker Nicky Maynard, 29, has not taken up the option to stay. Manager Karl Robinson is to meet out-of contract Charlie Burns, 20, Carl Baker, 33, Cody Cropper, 23, and Alex Revell, 32, to discuss their futures. Meanwhile, the club have taken up one-year extension options in the contracts of Ben Tilney and Giorgio Rasulo, both 19.